Cape Woolamai Mercantile Co. works with a select group of privately operated, primarily family-owned businesses in Australia, who share our commitment to creating and crafting, boutique quality products which add a touch of Everyday Luxury to your life and leisure. Americans and Australians share a mutual love affair. We are the bold, brash, adventurous, and sometimes untamable cousins from the same family tree. One branch found their future by heading West, the other by heading East. Each, giving birth to our own distinct, yet mutually admired, cultures. Australians have a deep thirst for Life, and a keen understanding that Life is a collage of experiences. Vibrant and colorful. Good and — on occasion — not so good. Every day we each film new scenes to the movie of our Lives. You want your movie to be as joyful, satisfying, and rewarding as possible. The Cape Woolamai Mercantile team scours the land ‘Down Under’ to bring you the apparel & life accessories which enhance the everyday experiences of your Life. At home, at work, or at play. With family, with friends, or in your alone time. On the go, or in those quiet moments. You can count on Cape Woolamai to have just the right items to add that extra touch of comfort, fun and joy to Life … Everyday Luxury. You do not buy a wool-insulated, ice-free cooler, for the sake of owning the cooler. You buy it to afford you maximum freedom, comfort and enjoyment for those days at the beach, the concerts in the park, enjoying the kids’ ball games, your day out on the water, or to simply help take the stress out of a shopping day. You do not buy a classically-styled, Australian Oilcloth jacket to impress your friends. You buy it to keep you dry and comfortable no matter what Mother Nature throws at you. The fact that you will be the envy of your family & friends is just a bonus. “We recently returned from our 24-day attack on the Irish & Scottish distilleries. As you may know, Western Scotland and the Inner Hebrides are likely to present 3 different seasons of weather on any given day. Our commitment to everyday luxury extends beyond the products we sell. 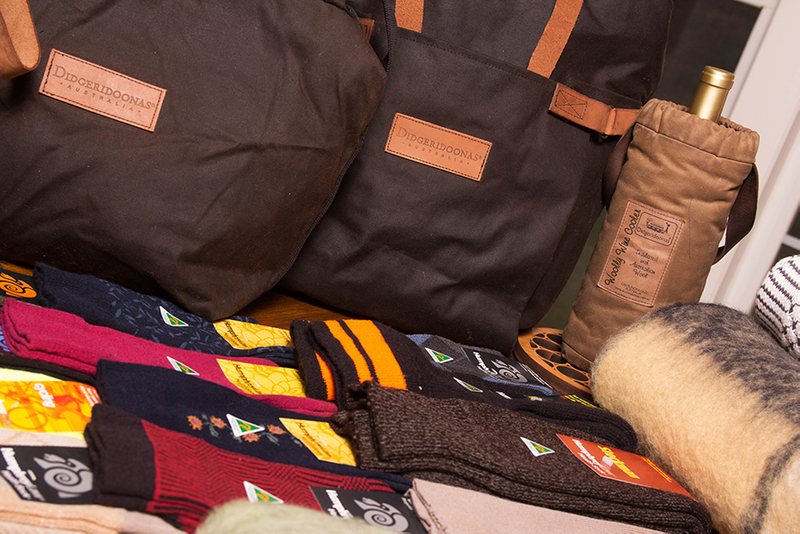 Cape Woolamai Mercantile is dedicated to adding an element of everyday luxury to your shopping experience as well. You – our treasured customer – are the most important person in our business. We are here to serve you. You make it possible for us to do what we love to do. Our promise to you is that we will strive to make your shopping experience with Cape Woolamai Mercantile one of the highlights of the movie of your life.